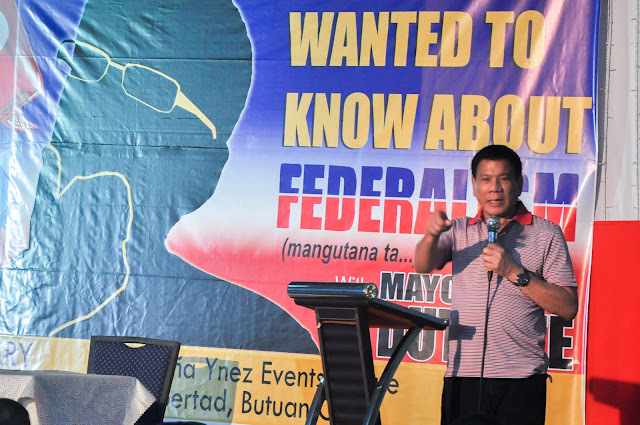 MANILA -- A member of the panel that drafted the proposed federal constitution on Thursday said federalism will allow different regions in the country to develop and grow. “The proposed draft federal constitution encourages the national government to go on a diet and the regions to go on a muscle-building regimen,” ConCom member Dr. Julio Teehankee said during the conference on Comparative Practices in Fiscal Federalism organized by the Department of the Interior and Local Government (DILG). The conference, held in Makati City, was also organized in partnership with the Konrad Adenauer Stiftung and the Forum of Federations. Teehankee said fiscal administration in the draft constitution embodies the overriding principle of fiscal prudence, reasonable sharing of revenues between the federal government and federated regions, prioritization of essential federal expenditures and the right sizing of the budget - with the federal government trimming the bureaucratic fat and capacitating the federated regions. Since the “Bayanihan Constitution” is a draft constitution, he said everyone especially the legislators and economic managers are encouraged to improve it. "The discussions and debates should be kept going and comments are very welcome. This is an opportunity for everyone to be involved in the President’s campaign for constitutional reform,” he said. Meanwhile, DILG Assistant Secretary and spokesperson Jonathan Malaya said the conference is part of the continuing dialogue they are doing together with other government agencies. “We invited the NEDA (National Economic and Development Authority), DOF (Department of Finance), and DBM (Department of Budget and Management), among others, in this conference; and we are pleased that they are actively participating in crafting a roadmap towards a federal system,” he said. Malaya agreed with the statement of Teehankee that federalism will cause more funds to flow into the regions.